I’m here in Rome, Italy, for a week-long meeting for scientists who study how sea levels have changed over thousands of years. (Think of how the height of the ocean changes during high and low tides during the day, but much larger changes in height and longer time periods.) Folks here at the meeting all study some aspect of how the oceans have raised and lowered over time due to melting and re-growing of the ice sheets over past ice ages. (Trivia question: Do you remember the 3 ice sheets in the world??? Answer: Greenland, East Antarctic and West Antarctic). It is very important that we understand how sea-level is going to change in the future due to the melting ice sheets because millions of people all over the world will be affected by changes in the sea-level. The scientists at this meeting all study how sea-level has changed in the past and we need to understand how it changed in the past before we can determine how it may change in the future. Besides learning a lot from other scientists, I’ve also been eating a lot of good food (homemade pasta and pizza! ), walking around the city of Rome and catching up with good friends. All in all a great trip! 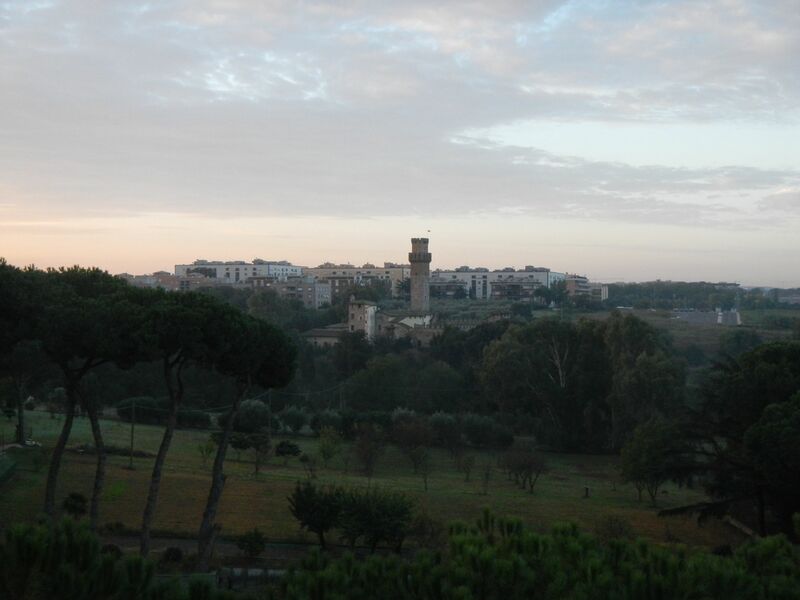 Looking forward to seeing you all next week when I’m back in the U.S.
View of the outskirts of Rome from my hotel. 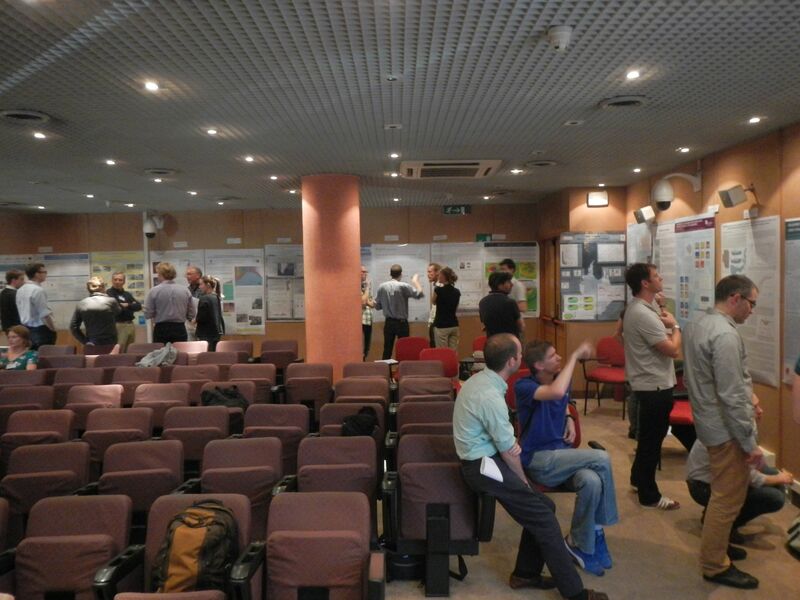 Scientists presenting and discussing data from their posters.